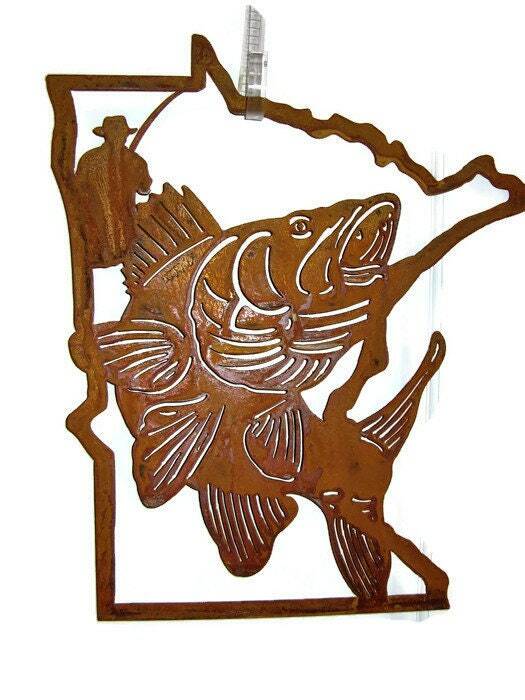 Minnesota is the land of 10,000 lakes! 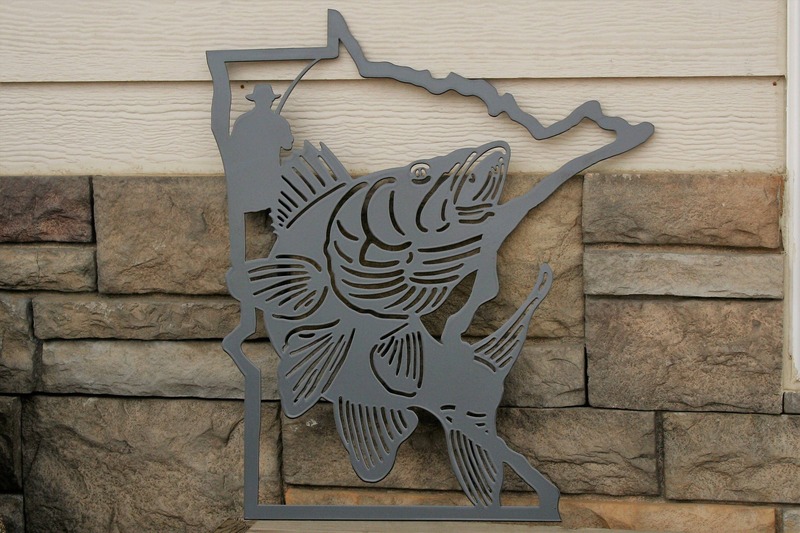 So many of them are great for walleye fishing! This metal walleye sign will hang perfectly in your office or on the ice shack! 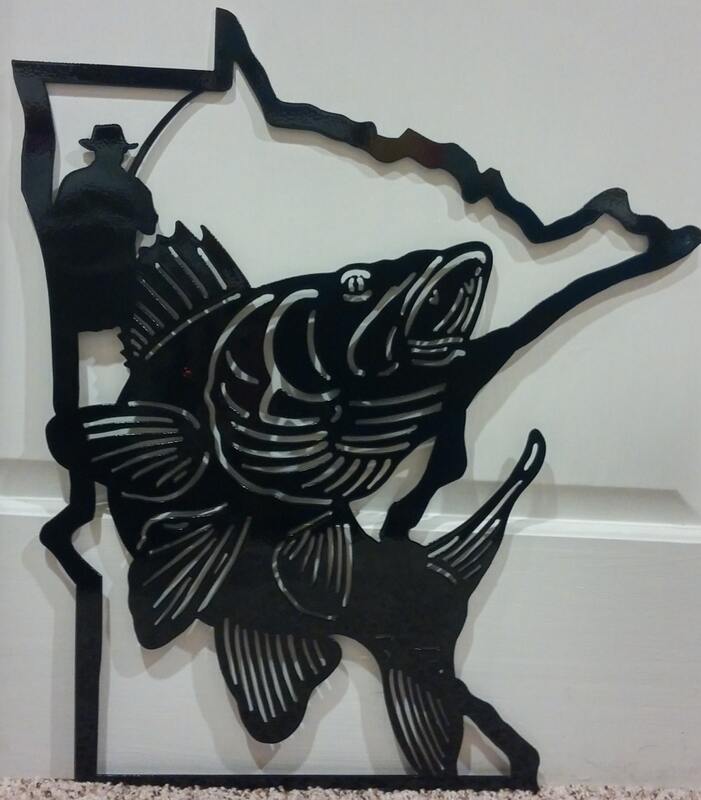 Great for anyone who lives in the state of Minnesota, grew up there or experienced a great fishing trip and wants to remember it forever! Cut from steel about as thick as a nickel. 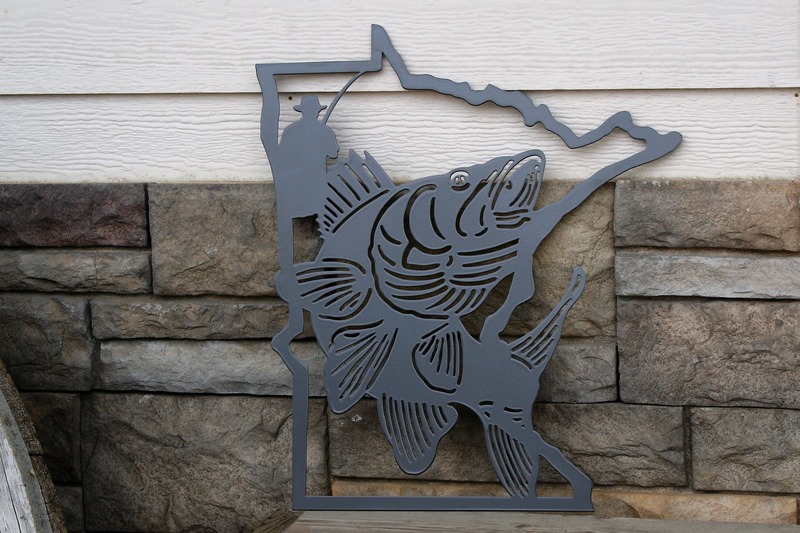 The Minnesota fisherman sign is 15.5" wide and 17.5" tall. Very sturdy, but lightweight so you won't break your back hanging it! The sign is coated with durable outdoor-safe powder coat in a variety of colors as well as a natural rustic finish shown in the first photo. 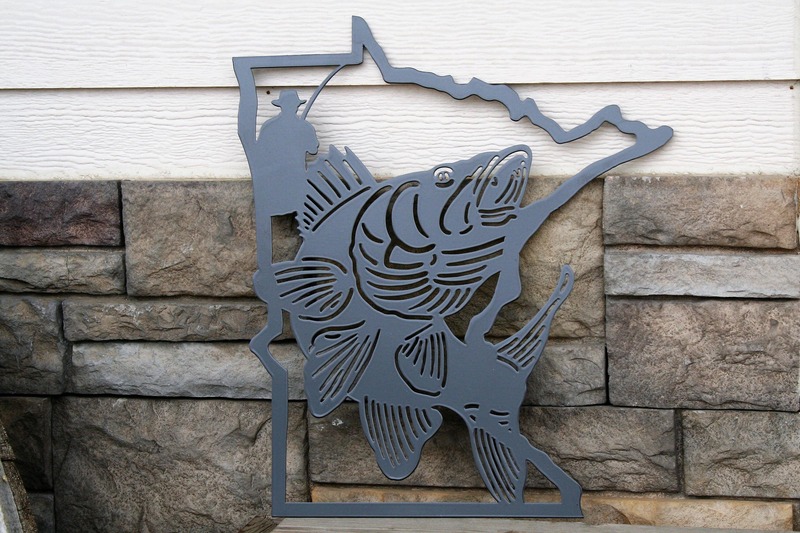 Fish design courtesy of SignTorch.com. It is absolutely perfect. We had it personalized with my husband's fishing nickname. Can't wait to give it to him on Christmas Eve. Thank you so much for the terrific product, excellent packaging, and speedy service!